﻿ Waiting to Address Addiction Till After the Holidays? Don't. Anyone who’s part of a family knows that when one member of the family is sick or in crisis, the entire family is affected. Those who’ve faced holidays with an addicted loved one know that these effects can be even more pronounced during the holiday season. Hectic preparations, prolonged interaction with family members, financial stress, seasonal depression (a.k.a. 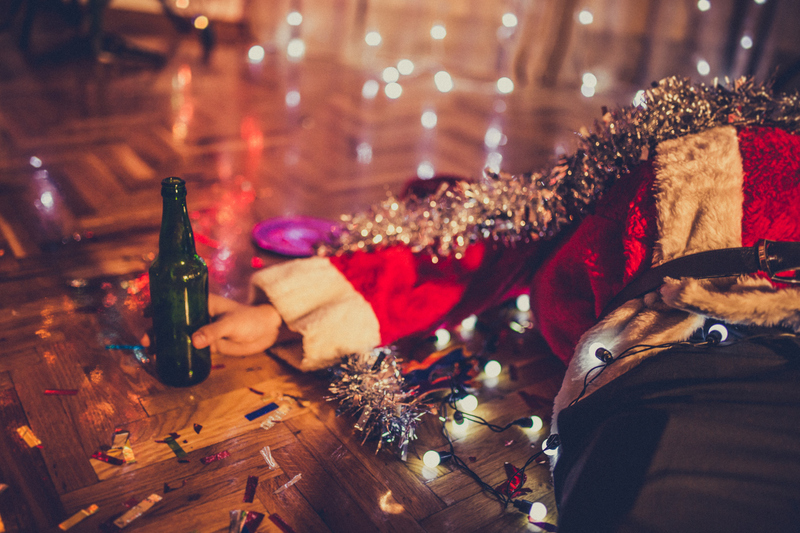 Seasonal Affective Disorder), and holiday parties where alcohol flows freely can be a recipe for disaster for those in the grips of addiction. Under these conditions, substance use disorders flourish, resulting in disastrous consequences. This may include more innocuous disruptions, such as a wild speech during a holiday party or knocking over a Christmas tree, but could be far more reaching. The most traveled holiday period of the year is Thanksgiving weekend. For those who have been drinking or using substances, being behind the wheel of a car can be deadly. No matter how healthy or dysfunctional from the start, any family will be impacted by the addicted individual and thus develop coping skills, often negative, to function. Instead, they begin creating new, destructive patterns in an attempt to deal with daily life. These destructive patterns can rise to the surface during holidays. Family members may find themselves ignoring their own health and wellbeing. They may also overindulge themselves, using substances in an attempt to numb the pain of dealing with a loved one’s addiction. Our culture puts an incredible amount of emphasis on having the “perfect” holiday season. For those with addiction and their families, this idea is not only stress-inducing, it is often unattainable. Helping a loved one seek treatment before the holiday season takes center stage can help alleviate the stress already present during these times. While having someone in treatment during the holidays may be less than ideal, it is often a better option than allowing addictions’ inevitable crises eclipse family gatherings. Many families struggle with knowing how to help a loved one, especially during what is supposed to be a joyful holiday season. Sometimes, family and friends are met with anger when suggesting their loved one seek help. 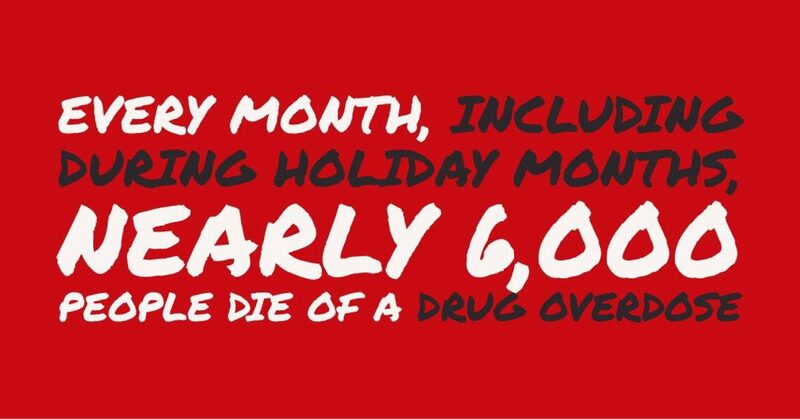 The addicted person may claim that they cannot or should not go to treatment during the holidays. Though it can be overwhelming to confront the disease addiction any day of the year, clinical studies show that a patient’s prospects for recovery significantly improve when the family is involved. Once a person seeks help, healing can begin immediately. Effective treatment programs can bridge the divide between an addicted person and their loved ones, and help a family start the New Year from a place of wellness. People with addiction will often make excuses as to why they cannot go to treatment or get sober at the present time. This often rings true for the family, as well. With the holidays upon us, many family members will make unconscious decisions to avoid “the addiction topic” until the already stressful holiday season comes to an end. While waiting for the new year may seem like a good idea, this can be a tragic mistake. With addiction, days can mean the difference between life and death. These are the stark and ugly facts – but they don’t have to be a reality for your family. An intervention can save a life. One call can make a difference, right now. Staging an intervention sends a strong message to your loved one, even when they are too sick to see it. It shows that you love and care about the addicted person and that their health and safety are a bigger priority than holiday postcard-perfect expectations. When family and friends join forces to help their loved one get help, they give the greatest gift of all: the hope of recovery and the gift of life.